Million Dollar Question - Brexit or Bremain ? 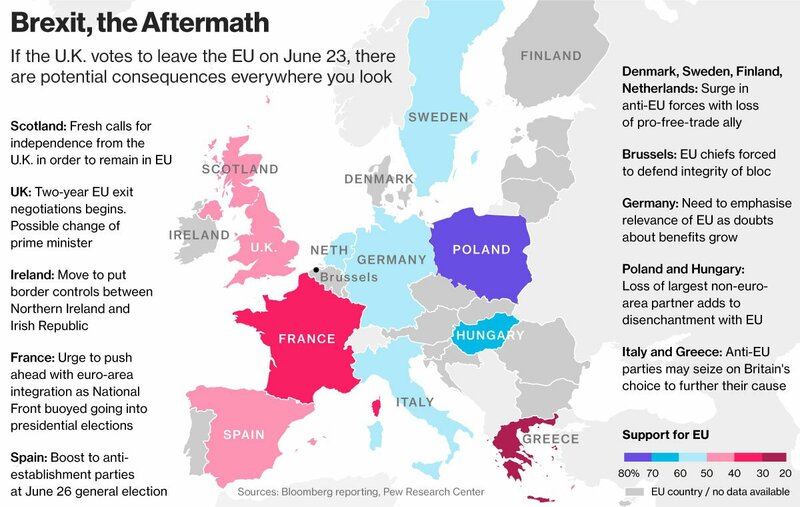 With just ten days to go before the EU referendum, the latest poll of polls shows British voters are splited across with a slight margin for pro-Brexit camp. Below given is the latest results which combined the six most recent surveys carried out between 1st June and 10th June, with "Don't knows" are ruled out. The question is: "Should the United Kingdom remain a member of the European Union or leave the European Union?" 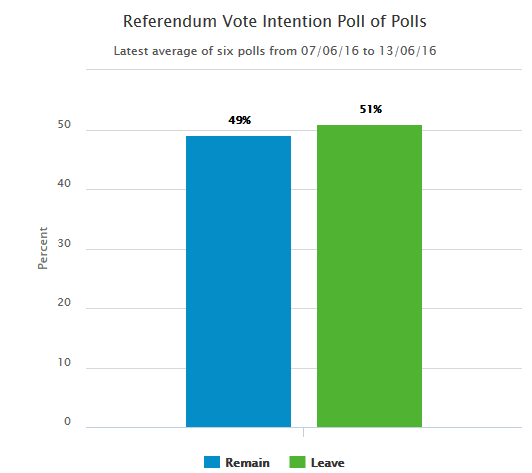 As of today, 14th June, it seems that people who are in favour of Brexit take a lead - 51% supports Brexit and 49% supports the opposite. "This is not about numbers; this is not even about facts; this is about emotion – and the details of the exact amounts of money that are paid to the European Union or got back, the actual numbers of immigrants that might or might not arrive if we stayed or left, a lot of this is just confusing voters,"
Experts are divided as the outcome is very difficult to predict because the usual election assumptions relating to party affiliation and safe seats do not apply here. Forecasting the turnout and its demographic composition is also tricky as there is a huge split in voting intention between younger and older voters. Most experts suggest the late surge will favor the Remain camp because of its high numbers of younger voters. The biggest news paper in UK, Sun has urged its readers to vote in favor of Brexit. The newspaper conveyed its message in an emotional fashion. Now lets wait for 9 more days to see the outcome!! !